There were a lot of things that I really liked about his list, the first is that it looks like it has an amazing matchup against Nekroz and a decent matchup against Burning Abyss. Something unusual that Robert chose to do was he chose to maindeck Duality’s, Odd-Eyes and Soul Transition, the goal of his deck was to have Scout by turn 2 at the latest. A lot of players were choosing between either Duality’s or Odd-Eyes and I don't understand why, they do not conflict. Even though these cards will usually all be dead in the late game, it was a sacrifice that he was willing to make, Qliphort don't have a very good early game if they don't get to Scout so he didn't care about his late game because if he can't get out of the early game then he's already lost. But probably the most innovative thing that Robert chose to do was maindeck Mistake. Usually Mistake is a card that you would side in when playing against Qliphort and not play in Qliphort. The reason he maindecked it was because he didn't feel that he had enough floodgates when playing against Nekroz. Nekroz had recently begun maining Mystical Space Typhoon so that means that you'll usually want at least 2 floodgates game 1 so instead of 5 floodgates game 1 he had 7. Even though Mistake hurts him it just destroys Nekroz and can even help win the mirror match. Against Nekroz if you can establish the scale and flip Mistake then they're not going to be able to do much until they draw Mystical Space Typhoon because whatever monsters your opponent destroys are going to keep coming back. Your opponents best out is Evilswarm Exciton Knight but his effect probably won't be resolving without Book of Eclipse/Moon because you have so much effect negation. The mirror match is easily decided when one player draws Scout but the other doesn't, so if your opponent opened Summoners Art and you didn't open Scout, by flipping Mistake you have essentially turned it into a game of who has more normal summons since neither of you will be able to efficiently set up a scale unless you opened a lot of monsters. So because of Mistake you went from a game that you were auto losing to a game where you actually have a chance at winning. 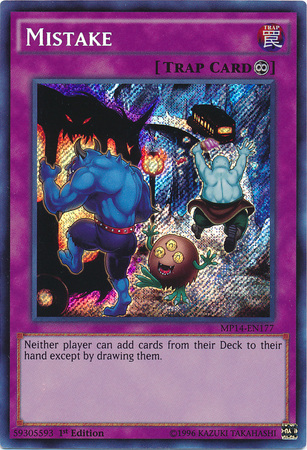 The side deck is where Robert strayed from the normal again, he chose not to include hand traps such as Artifact Lancea or cards like Necrovalley but rather to include cards such as Vanity’s Fiend and Majesty Fiend. These cards deal with Fire and Ice Hand noticeably better than Lancea or Necrovalley so I definitely agree with Robert’s decision here. Another reason the fiends are really good is because not only are they good in the Nekroz matchup but they're also really good in both the Burning Abyss matchup and the Shaddoll matchup. Since he has all these matchups covered with those cards that only left 1 matchup, the mirror match. You guys may have noticed a popular card missing from his deck list; Mirror Force. I agree with his decision to cut it because this deck doesn't struggle with established boards, Mirror Force isn't very good against Burning Abyss, but most importantly it doesn't solve any of the problems that occur when you're playing against Nekroz. 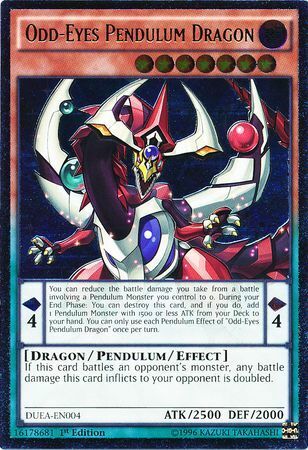 It doesn't deal with Exciton Knight, and it doesn't deal with Trishula. Its not bad in the mirror match, but I don't think thats enough reason to warrant its use. One change that I might make to his deck list would be to maindeck Mystical Space Typhoon, since you already have a really good Nekroz matchup, you can try to improve your other matchups as well. 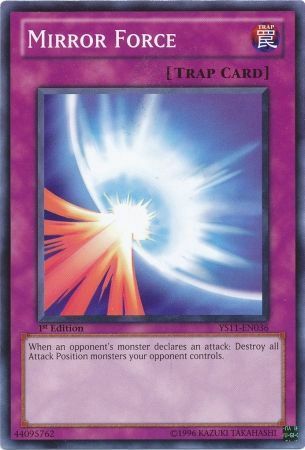 Now that some Burning Abyss players will be maindecking Village I don't think that maindecking Mystical Space Typhoon is optional anymore, and even if they don't main Village it's still good vs the trap build. Since currently your only actual out to Village is Soul Transition or tributing Helix some other way that's a very risky thing to do when entering a tournament. Not to mention Mystical Space Typhoon gives you a big advantage in the mirror. That's all for this week's article! How do you guys think Qliphort will do at the next ARG. Congratulations to Robert Mushkatblat for topping. Special thanks go out to Eddie North for being awesome and not wanting his ARG Sunglasses and congratulations on your top as well! If you'd like to see me write about a certain topic feel free to message me on Facebook. The Circuit Series stops by Syracuse, NY next on June 20-21! I hope to see you all there! Very informative as always Rosty. I played against you round three in the Qli mirror match at the recent Los Angeles regionals, and we actually discussed a lot of these card choices. It’s nice to see a fellow Qli player’s insight on card choices others have strayed from.